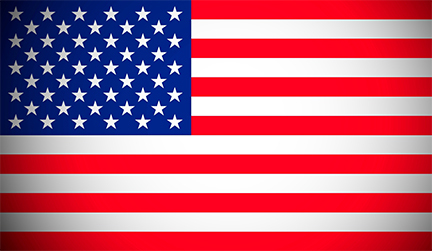 Edesix, provider of the provision of Body Worn Cameras (BWC), has opened an office in the USA. Edesix's new US base is in New Jersey and will house both US and UK staff. The UK-based wearable camera expert is primarily focused on supporting its new Video Management Systems (VMS) integration and associated partners in the US. "The US is a key target market for us, and as such we felt we needed a full-time presence there," explains Richie McBride, managing director of Edesix. "Our main US focus will be on promoting our current VMS integrated solutions, along with associated partners. One of the most important recent innovations from Edesix has been the ability to integrate the cameras with existing VMSs, enabling organisations to unify a site's security and monitoring system, and create mobile and first-person viewpoints and add contextual detail to footage. "Fixed security cameras connected to a VMS are a powerful tool for monitoring and securing many different environments, from retail floors to distribution centres. By integrating wearable cameras, it gives security teams the ability to view unparalleled detail of incidents as they unfold. Our software furthers the potential of a VMS, protects valued staff, and captures concrete and secure footage for future review. “It enables immediate response by control rooms and later review by supervisors. It also means live streams can be recorded as evidence, which can then be securely shared with third parties, including the police. The service is fully encrypted with audit trails to protect the evidential quality of footage stored." McBride adds: "The US body worn camera market is primarily dominated by law enforcement. We hope that having a full-time presence there can facilitate a change in this, as we see huge US potential in other sectors such as construction, parking, transport, retail and the emergency services."